The Sisters of Charity of New York advocate and work towards just comprehensive immigration reform. 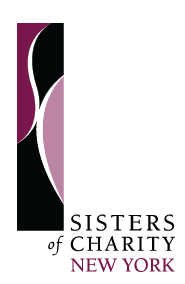 We invite you to read the Sisters of Charity of New York Immigration Statement. Click here. The Sisters of Charity of New York have endorsed the Collaboration Statement on Immigration from Vincentian Family of North America. Click here to read. Immigration Matters is a periodic update on latest happenings on immigration issues in which the Sisters of Charity Office of Peace, Justice and Integrity of Creation is involved. Insights of the two Sisters of Charity of New York and two Associates who participated in the North American Vincentian Family Gathering, Welcoming the Stranger. Bill Hurley, SCNY Immigration Task Force member and Associate, shares his Guatemala experience and Bruce Segall, SCNY Coordinator for Immigration Matters, shares an experience of accompaniment. To send your legislators a postcard in support of comprehensive immigration reform, please visit www.justiceforimmigrants.org.